You are wanting to change your hairstyle and trying to be more confident after some unfortunate hair loss or so many other reasons. The full lace front human hair wigs with baby hair are perfect for you which is the greatest way for every man and woman to improve their looks and feel more beautiful. ! Layla Hair raw virgin hair vendors specialize in manufacturing and exporting The best human hair lace front wigs with baby hair. What is the full lace front human hair wigs with baby hair ? 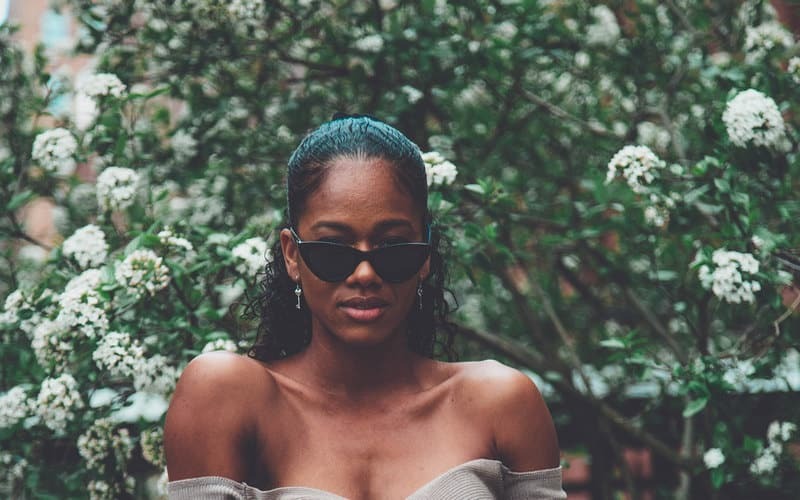 First of all, when you see virgin full lace wigs with baby hair, you will see a wig attached to the front edges of the head, along with hairline where there is often a lace panel. In addition, the rest of the wigs made with stronger and thicker material and the hair strands are attached in wefts to this material. The full lace front human hair wigs with baby hair are the best because it has an invisible hairline. When worn properly the end result is an undetectable hairline giving the illusion that the wig hair is actually growing out of your own head. Especially, no one will know that you are wearing a wig unless you tell them! And even when you tell them… they can’t believe it until you let them touch it! Virgin hair lace front wigs are usually more lightweight and much more comfortable than an ordinary wig. 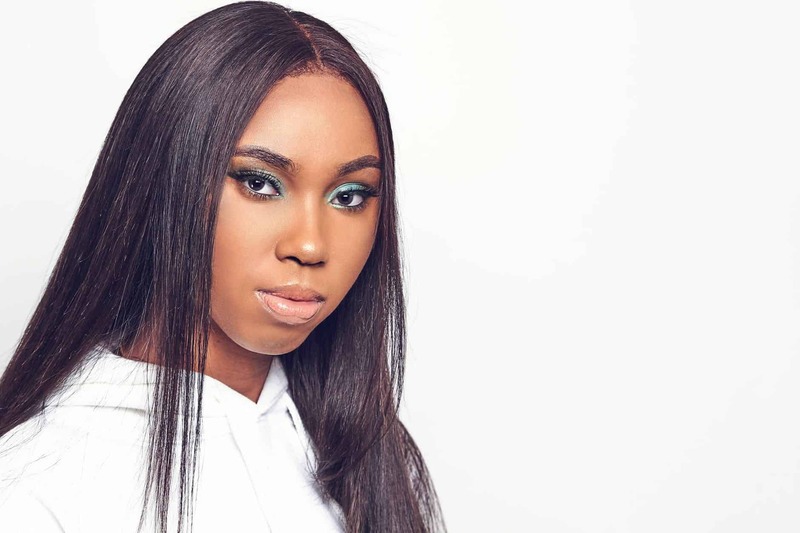 The human hair lace front wigs with baby hair will bring for you have more versatility to style it different ways which also adds to the believability and natural look! Moreover, human hair lace front wigs with baby hair is a perfect option. Virgin hair lace front wigs provide the feeling of a natural looking hairline with full density natural baby hair. Our hair remains naturally straight, soft, silky and shiny that all customers interested. Layha will make any hairstyles for the customers because our hair is full cuticles, tangle free and no shedding, especially your hands can run easily into hair. Now, the human hair wig companies- Layla Hair will give you seven steps on how to wear a lace front wigs?. How to put on a lace front wig? Firstly, put on a flesh-colored wig cap, put all of your hair inside the cap. Adjust the wig cap so it sits at your front hairline and comfortable for you. How to cut a lace front wig? You only need to be done the first time you use your wig, and it does not need to be done if the lace has already been trimmed by the manufacturer. To cut the lace, put the wig on your head. Using hair clips to fasten the wig hair back away from your scalp line. Trim any lace that sticks out past the wig hairline using a pair of sharp scissors. 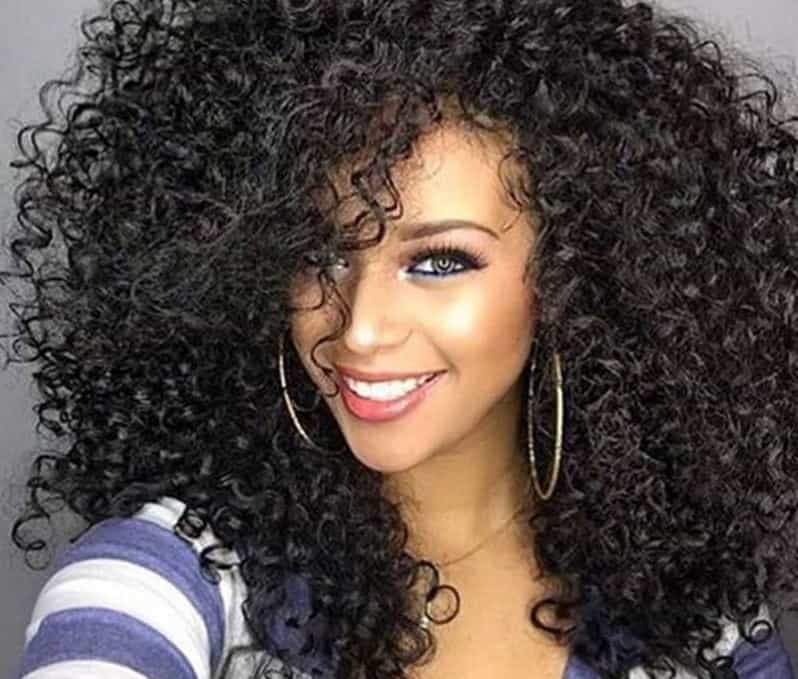 How to make the full lace front human hair wigs with baby hair look natural? Cleaning your hairline with isopropyl alcohol to remove oils form body that could prevent the wig adhesive from sticking properly, that is the perfect answer. Apply a thin layer of wig adhesive to your scalp. Allow the wig adhesive to dry for the length of time recommended on the label directions. Wig adhesive can use alone or in combination with wig tape. Finally, you know how to wear the human hair lace front wigs with baby hair look fabulous? Adjust your wig after you have put it on so that it sits on your head correctly. Line up the center part of the wig with the center of your forehead. Pull the wig down completely in the back, so that it fits correctly on your head. Layla hair company only uses untreated virgin hair to produce human hair lace front wigs with baby hair. Besides, the hair is harvested carefully from donors who painstakingly take good care of their hair. And, then assembled into a Remy wet and wavy hair extensions without being exposed to chemicals. Our extensions are of the genuine Remy sort. Because we ensure that, the cuticles of the weft we produce remain undamaged. As a result, Remy wavy hair extensions original direction for a more natural look. 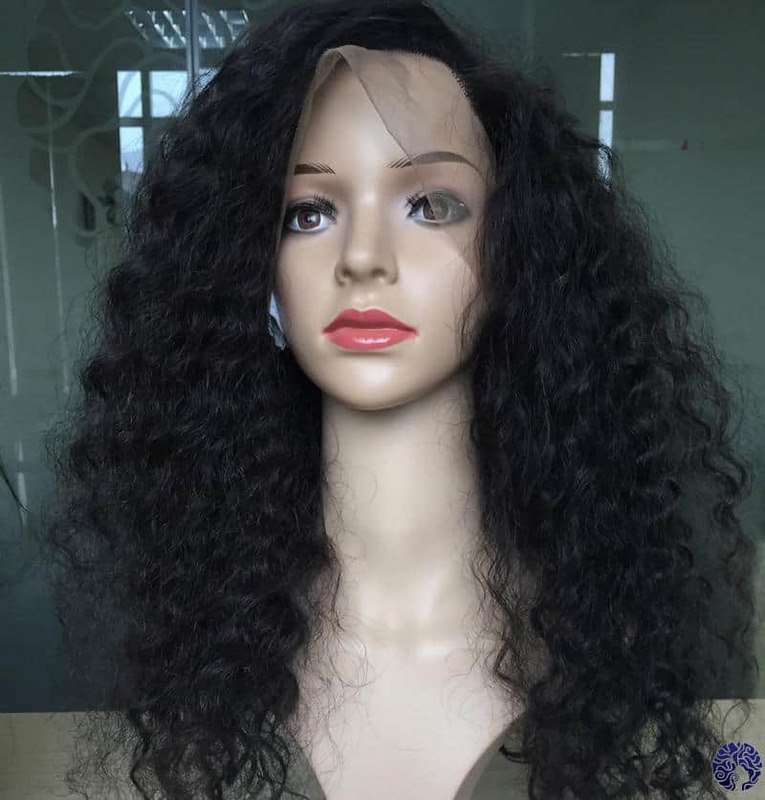 Next, the human hair lace front wigs with baby hair from Layla Hair are naturally, wavy with natural-looking locks that complement a wide range of hairstyles. They can wear by those whose hairstyles are already wavy. However, the extensions can also wear by individuals with straight hair. Virgin hair lace front wigs add body to their wearer’s hairstyle and can be worn loose or tied. Furthermore, some even choose to braid, cut and or dye their extensions. It is entirely possible thanks to the durability and versatility of quality Remy hair from Layla. Should I choose black lace front wigs with baby hair? Dark hair has no longer been the privilege of a minority. With the help of coloring products, anybody can quickly turn their hair color upside down. For those who don’t want to bother their natural hair with chemicals, lace front wigs seem to be the absolute choice. The question is should you choose black lace front wigs with baby hair? Let’s be clear one and for all! Black hair isn’t a magical pill that makes everyone looks good instantly. There are complicated underlying principles between hair color and skin tones. Once you understand the principles, you don’t want to mess with your hair color. Because of this reason, we would recommend you not to be a hassle when it comes to picking a black lace frontal wig with baby hair. Chances are your skin tone isn’t compatible with black color, and your attempt to enhance your appearance will not be fulfilled. Instead, you should remember to stay close to your natural color. For example, if your hair color is blonde, you shouldn’t go straight to dark hair color. Limiting your choice within two tones is essential. That means you should only go for black color if your skin tone is somewhere two tones lighter or darker than the hair color you aim at. That being said, if you still feel like trying, don’t hesitate to with yourself a treat. After all, whatever you put on your body that makes you feel good is worth your money. Quality is always the biggest concern of all most everybody when it comes to lace front wigs with baby hair. How do I know by just looking at the product to know it will not last long? Without proper understanding, we can fall prey to dishonest vendors who sell us low-quality products. Don’t worry ladies! Below are our secrets to help you determine bad products just from the first encounter. 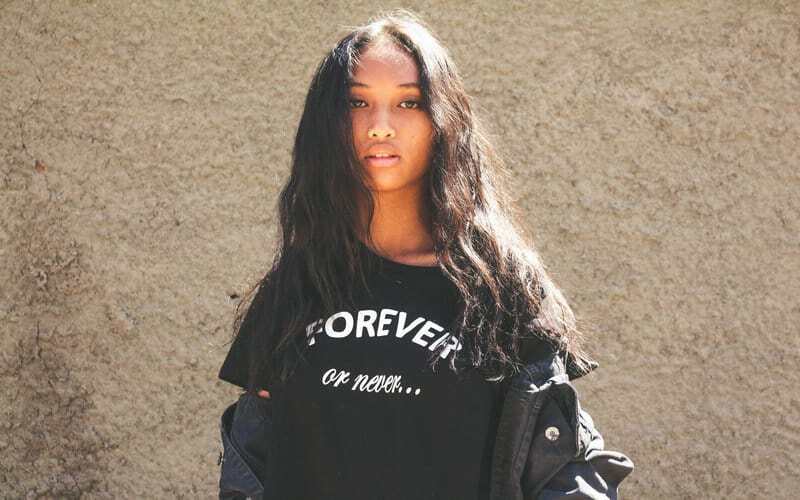 Lace frontal wigs constructed from healthy hair tend to last longer. While most hair vendors claim they use 100% human hair, the truth is less so. There are different types of human hair that if you aren’t experienced, you will never be able to distinguish them. So, the trick is to see how easy the hair gets tangled. Take a small amount of hair and try to mix them up with your fingertips. If the hair strands mess up, then you know this frontal lace wig isn’t worth your time. The second thing you must pay attention to is lace. Lace frontal wigs consist of a small patch of frontal lace that helps to create your hairline. Sometimes, due to transport and careless producing, the lace can be tore. Check if there are any holes! What’s more, take a look at the knots. See if they are secure and reliable. Last but not least, the straps deserve your attention too! Most lace frontal wigs include straps so that users can customize their product according to their head size. Check if the straps still work and are flexible. Sometimes, straps aren’t attached well into the base, so after a while, you have to remove them. Therefore, you should check it thoroughly before making a purchase. Below are some of our suggestions if you are looking for inspirations for perfect hairstyles. Bob hairstyles aren’t out of date! People will try to add some lengths, fringes, or curls but they will be loyal to this style. Short bob lace front wigs with baby hair are ideal for any ladies; however, you should factor in some of your features as well. For example, if your hair is thin, you should add a few layers to the crown area to create volume there. In case your hair is curly, make sure to texturize the bob, so it doesn’t look too poofy. There are many types of short bobs for you. Ask your hair vendors for suggestions and see what is on the table. 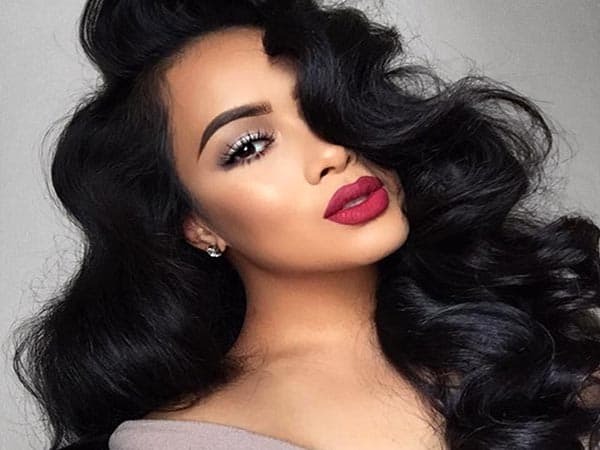 A body wave is a safe choice when it comes to hairstyles. But we have to admit it, this hairstyle nails it every time! No matter if you want to join a formal event or chill out on the beach, this hairstyle looks gorgeous. Body wave lace front wigs with baby hair don’t include fringe or bangs. Therefore, if you want edges, you should be specific. Box braid is a unique hairstyle that is popular among African women. Unlike cornrows, box braid is characterized by the square-shaped or boxy hair. This hairstyle also adopts the synthetic braiding like kanekalon hair. Box braid is a symbolic and prominent in African, African-American culture. Don’t hesitate to contact us for the best lace front wigs with baby hair you can ever find in the market. At Layla Hair, we have everything you ever wanted for your products. 100% human hair with absolutely no harmful chemicals used! Shop with us now today! Right now, go to laylahair.com. We will help you get fantastic human hair lace front wigs with baby hair, full lace human hair wigs blonde, ash blonde ombre hair extensions or any other products in our huge collection. Length: from 8 to 30 Inches. Weight: 200gr to 300gr. Also available in other weights as required by customers. Shipping method: UPS, DHL, BDEX. Payment method: PayPal, MoneyGram, Western Union, Ria, Union Pay, Visa, Master Card, Bank.